Why should one go for Reliance when their Services are not reliable and Customers are treated as fools? Word of mouth is the best and most reliable way to spread awareness about any product or service. I always try to share my learnings/ experiences with readers so that they become aware of problems we face in real life and take care and avoid similar experiences. 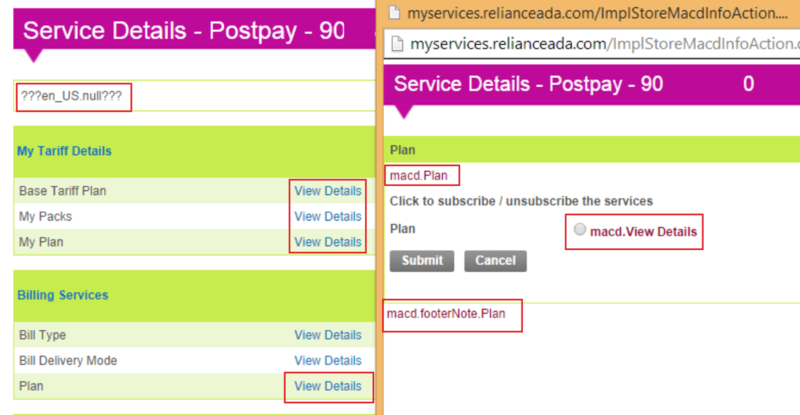 This time I decided to try out Reliance GSM postpaid service and review it on TT. Please note these are my experiences which I would like to share and the same may or may not be your case and you could have had a different experience than mine. My intention here is to highlight how things can be with the subscribers and how helpless we are when operators are careless and least bothered about our plight. Those readers who follow me on Twitter would already be aware of the case partly, as I kept Tweeting my bad experiences right from day one. The Reliance store located in the heart of the city was under renovation at the time, hence I had to search for another store where I could buy a postpaid connection. After I managed to find another store and walked inside, a dull welcome by the store executive made me guess the entire scenario on how it’s going to be. I told the executive I wanted to port my prepaid to GSM postpaid connection when he suggested me to take the CDMA connection and also gave an advice that Reliance GSM has a very weak coverage. As I was aware of the things I kept quiet and just listened to the executive. I already Had a plan in mind and asked for the same but the store executive was not sure of the plan and in turn started promoting a plan which he was interested in selling. When I asked for a plan the executive emphasized that the plan he suggested was better for me and he also opened the plans and packs webpage of Reliance to explain me regarding the benefits. I was happy with his gesture. We highlighted this earlier and as always Reliance website was full of mistakes regarding plans and packs information and here is the one which changed the entire convention of how an SMS is charged. I pointed the mistake to the executive and said that the information on website is wrong. Any guess what the executive replied back? He said “Yes, may be an SMS is charged per minute according to that plan” and I was awestruck hearing this. From this we can infer the level of knowledge the executive possessed on products that he was supposed to promote. Finally, I left the place when the executive was not sure whether he could provide me a postpaid connection in the area mentioned in my address proofs. I did not give up yet and decided to try my luck at Reliance eShop and applied for a postpaid connection by filling the required details. Thanks to this service, after a couple of days, I received a call from one of the Reliance store executives from a near by area (this is a different store from earlier) and after providing my details I informed that I wanted to PORT IN and I’m willing to visit the store for taking the connection in person. Having filled the required forms and having provided the proofs, I requested for a micro SIM but the store executive softly conveyed the news that micro SIM cards are not available. I cross confirmed with her regarding the availability of postpaid connection service in my area and she confirmed the same from her end as well. A verification team member called after 3 days and asked me where I applied for the connection? I provided him details and he clearly said I’m aware of the area but connection can’t be provided in that area. I tried to explain to him that the Reliance store executive had confirmed that there is postpaid service in my area. Despite my efforts he did not complete the address verification. I immediately called the store executive and conveyed the same to her for which she responded positively saying she will take care of the process. Initial attempts to the postpaid care number failed with a “busy tone“. After a couple of attempts I was able to connect to customer care executive and I explained my grievance regarding barring of services. Adding to my bad experiences I received a response from the executive that their applications were down and requested me to call back after 30 minutes. It is very weird that at times we get number busy on calling *222 which is their customer care number. Please note I was without outgoing services for 24 hours. 1. Verification team visited your house on 6 October, since nobody was present at the mentioned address, verification turned negative. I have a question- did the verification team really make an attempt to visit and verify the address? When nobody is at home don’t they atleast care to convey the same to the customer ? I spoke to the executive who assisted me in taking the connection and she comforted me saying she will take care of the verification and services will be activated by end of the day. Thankfully the services were activated that night at around 10PM. I was happy that she had taken care of my concern at least after following up. I was hopeful that myServices will give me the required details I would like to know about my account. Disappointingly, the view details could not provide even My plan details. As seen in the screenshot, after clicking on submit I expected to receive an SMS with requested details or view my plan details on a webpage but nothing happened. So, in short this portal is not very useful for customers and is also packed with technical glitches, but you can use this portal for general services like bill payment/profile details. As I am active on twitter I chose that platform to convey my problem. Their social team has only one tweet for any customer who tweets them regarding any issue. This is irritating to see bot kind of replies every time. Also are they expecting every customer to have a PC just to share with them details of the complaint for a resolution? @srikapardhi Please share your details here using a PC: http://t.co/qxIHL7DAJb and our representative will get in touch with you shortly. You can see the response from their team to my tweet. After 3 days I received a welcome call from Reliance and the executive confirmed me my plan details, activation date, billing date and he asked if I have any questions. I was happy about it and asked him whether I could check my data usage via SMS? I asked repeatedly and every time he gave only one answer – SMS UNBILLED to 55444 and you will get all the details related to data, but in reality you will not get any data usage via that SMS. You get only the unbilled amount details via SMS. This is the quality of information they provide. The executive also confirmed me my DOB in this process and I found it was entered wrong except the year as default values were chosen which was mentioned in the proof. It is ok, but when I tried to provide my correct details to the executive to correct it from their end he asked me to submit the documents at a near by Reliance store to update it correctly. Why would any customer take time and pain to go and submit documents just for Reliance sake to update correct DOB details? Will it be any loss to them if they update DOB when the customer is ready to provide correct details to them? I’ll share my Network experiences in coming days as I will be travelling across states to test on the same. Postpaid customers accounts for maximum revenues to any telecom company and they should be provided with good services and care. When customers face such kind of odd experiences before joining their Network how can this encourage other customers looking forward to opt for their services? In fact the entire sales team should be interested in welcoming a postpaid customer to join them but in the above case when a customer himself is very eager to join them, team from operator’s end take no care in ensuring a smooth transition into their services. After all this struggle any customer would lose interest to join them and in the end why would any customer be happy to chose their services? Dear readers, have you faced such issues or experiences with your operators? Do let us know via comments. I don’t know what is happening with Reliance network but I am extremely disappointed with it. This was the first and last time I purchased this SIM and would not suggest any one to buy it .